Based on statistics and first hand observations, this article is a "must read" before you start any new Web project! Minimalism is the App creator's best friend. Here are 4 approches leading to the same solution. After months of testing we've released the first version of Dash, a high performance CMS exclusively distributed by Litemoon. What if you could take a picture with your phone, and have it instantly displayed on your Website? Push messages and stories to your Website, on the go, from your mobile? That's what a Social Media Wall can do for you, and even more. Why do we tend to avoid the use of "classic CMS" in our recent developments? Find out more about our reasons, and our solutions. While many agencies focus on making their Website search engine optimized, we place most of our efforts in making ours user friendly. Why? Our Web Apps include remarquable techniques to load scripts and data silently, only when your visitors need them. This results in unique performances and user experiences. Touch screen, tablet, mobile, or large screen? To keep up with great user experiences, your site must be flexible. Make your Web App an extention of the "real world". 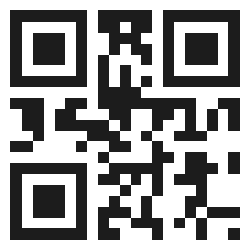 Devices with cameras can scan QR codes and instantly open your digital universe anytime anywhere.